How to Control Hair loss after Pregnancy: Are you losing hair after pregnancy and why does your hair fall out after pregnancy? Don’t panic it’s very normal and temporary hair loss. During pregnancy levels of oestrogen increase in big amount, which helps to grow hair thicker and protect hair loss. After childbirth estrogen levels in the body drop back down and lead to a heavy hair loss in a short period of time. Hair loss normally happens after two months of delivery. Around 80-90% newly mother suffer from postpartum hair loss. As this is a very normal process but still you can prevent hair loss after pregnancy with help of natural home remedies. Hair fall after delivery is also known as postpartum alopecia. 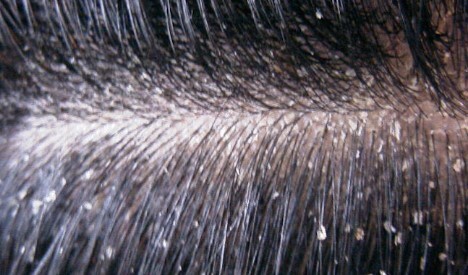 The term alopecia is used for hair fall. Postpartum alopecia occurs all over the head but sometime you may get a bald spot on your head. 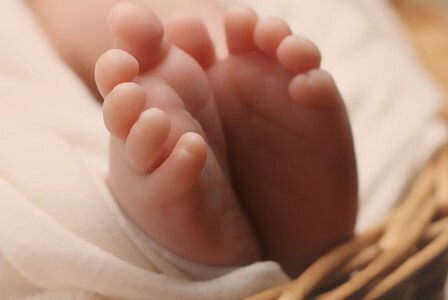 Normally a woman loses about 100 to 125 hairs a day, but after pregnancy, she number of hair fall increase to 500 a day. 1.1 How long does hair loss last after giving birth? Lemon is a very effective home remedy to protect your hair. It helps to keep your scalp hydrated and dandruff free. Take one tablespoon of lemon juice, olive oil, rosemary, and one egg yolk. Mix all of them well and make a fine paste. Apply this paste on your scalp and leave it for 1 hour and then wash your head. One of the best home remedy for hair loss control during and after pregnancy. It helps to make your hair thicker and stronger. This remedy also helps to remove dandruff. Take a handful of fenugreek seeds and soak them in water for overnight. Extract the water and apply on your hair. Leave it for 1 hour and then wash your hair. You can also make a paste of roasted fenugreek seeds powder with hair oil and apply on your head. Leave this paste on your head for one hour and then wash it with shampoo. A pregnant woman needs more nutrition and a healthy diet. Lack of nutrition can cause hair loss during and after pregnancy. A pregnant woman needs more iron, Vitamins E, C, and B complex help improve the quality and strength of hair. Foods that contain such nutrients are perfect to prevent hair loss. A pregnant woman should include fruits and vegetables that contain flavonoids and antioxidants in her daily diet. However, when it comes to taking supplements that are available over the counters, then one must seek doctor advice. To prevent hair loss one must use a comb with widely spaced teeth. A comb which has tightly spaced teeth, it may pull hair more than a brush with wider teeth. It can make your hair root weak. Whenever you brush your hair, brush them gently. Try not to brush hair when they are wet because wet hair is more fragile than dry. To make this remedy you need a handful of rosemary leaves. Boil rosemary leaves in a cup of water for 10 minutes. Let it cool down and strain this mixture. Apply this water on your head after straining. Do this remedy 3 times in a week to get rid of hair loss. Aloe vera is one of the best ayurvedic home remedies to stop postpartum hair loss. 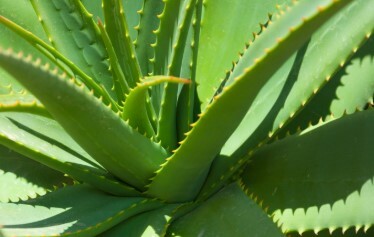 Consuming aloe vera daily helps to improve your immunity system and also flush out harmful toxins. You can take one-third cup of aloe vera juice daily empty stomach. Also, you can take a tablespoon of aloe vera gel along with cumin seeds three times a day for three months. One of the simple and easiest way to get rid of hair fall issue. Take one cup of yogurt to avoid hair loss. It will also help to maintain weight after childbirth. Yogurt is a good food to maintain protein in your body if there is any protein deficiency. The Indian gooseberry commonly known as Amla is a very effective home remedy for hair problem. Take amla powder and mix with water to make a fine paste. Apply this paste on your scalp for 30 minutes and then wash with warm water. Do this remedy 2 times in a week. Alternatively, you can add amla juice or amla fruit to your diet. Oil massage is the best way to strengthen your hair. So massage your hair with ayurvedic oil like coconut oil, almond oil and Brahmi oil. Take any of these oil and massage before going to bed. Massage your hair 3-4 times in a week is good we to get your hair back. Coconut milk is a beneficial remedy to improve your hair condition. It moisture your scalp and strengthen hair root. It also helps to remove dandruff. Massage with half a cup of fresh coconut milk on your head. Leave it for 30 minutes, and wash it off using a good herbal shampoo. Consider using fresh milk, not the tinned variety and do this remedy twice in a week. Another natural herb which is widely used for so many health problems. Neem also very good remedy for hair loss. It has antibacterial properties which prevent the growth of bacteria. Take a handful of neem leaves and make a paste with water. Apply this paste on your head for 20-30 minutes then wash it off with herbal shampoo. How long does hair loss last after giving birth? It may vary a woman to another woman and depend on the health condition. Normally hair loss lasts for 6 months after pregnancy. After 6 months your hair starts growing again naturally. What are the causes of hair loss after pregnancy? One of the main reason for hair loss is due to hormone change in the body. Rapid increase and decrease in the level of estrogen during and after delivery cause hair loss. Apart from this lack of nutrients, vitamin and depression can cause hair loss after pregnancy. 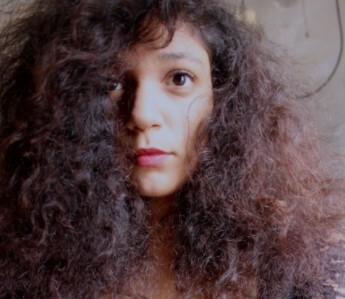 Avoid over-brushing your hair as it can cause further damage. Do not go for tight hairstyles such as a ponytail, cornrows, braids, hair weaves and hair rollers. Stop using straightening treatments or chemical dyes as they make the hair brittle and dry. A milder shampoo and conditioner are recommended. Try Massage regularly to stimulate blood circulation. Maintain a healthy diet which is rich in nutrients. Hair loss after pregnancy is a very common problem so you don’t need to be stress too much. If you are facing this problem we recommend you to go natural don’t use supplements and chemicals. If you have any suggestion or any remedy which we mention to forget please let us know. Follow the above remedy to prevent hair loss after pregnancy.